While you are reading this, I am on my way to London for my birthday and I am so excited! London is a city that is close to my heart, also because I have friends and family members, that live there. 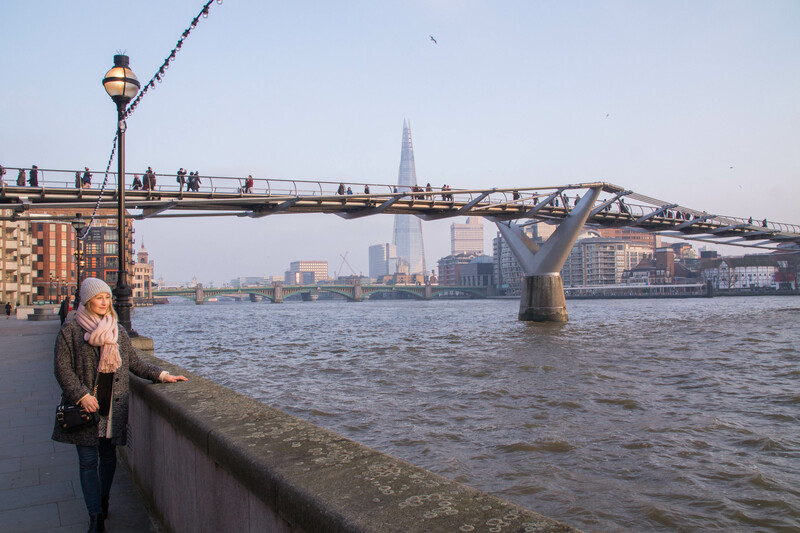 To celebrate my birthday here on the blog as well, I am showing you some fun things you can do around London! My very own London travel tips so to speak. I also previously wrote posts about the coolest indoor botanical garden (in a skyscraper! ), the best breakfast and brunch spots, where to get the cutest cupcakes and my favourite part of the city, if you want more information. 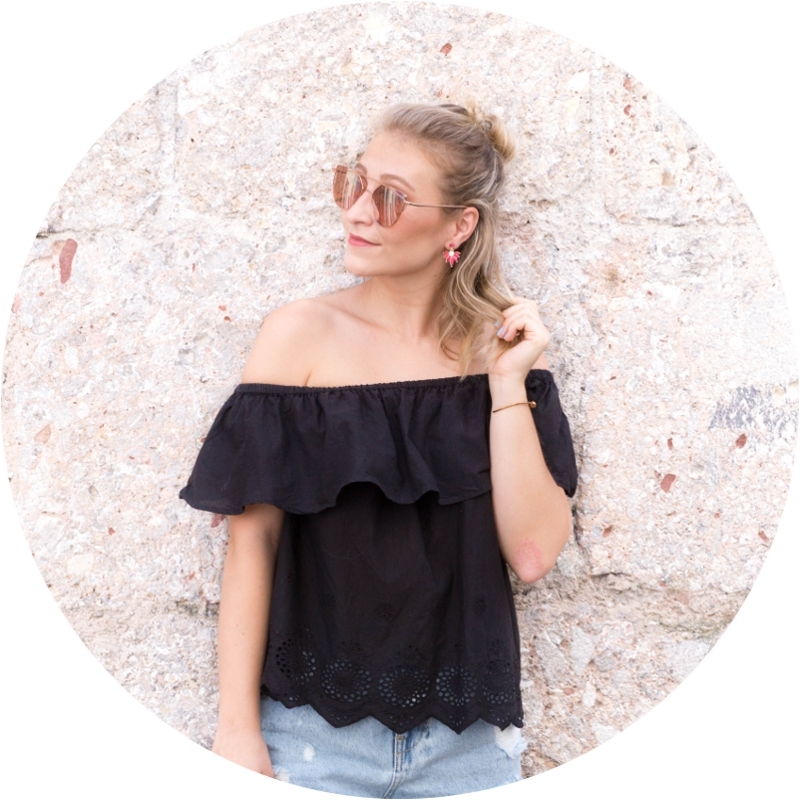 Today I have some shopping and sightseeing tips for you. So here we go! Während ihr diesen Blogpost lest, bin ich gerade im Flugzeug auf dem Weg nach London, um dort meinen Geburtstag zu feiern. Ich freue mich schon so! London ist eine Stadt, die mir sehr am Herzen liegt, nicht nur weil dort Freunde und ein Teil der Familie wohnen. Um auch hier auf dem Blog zu feiern, habe ich ein paar coole Vorschläge für Aktivitäten, die ihr in London machen könnt. Meine eigenen “London Travel Tips” quasi. Ich habe bereits über den coolsten Indoor-Botanischen Garten (in einem Wolkenkratzer! ), die besten Brunch- und Frühstücksplätze, wo man die süßesten Cupcakes bekommt und meinen liebsten Stadtteil geschrieben, wenn ihr noch mehr Tipps braucht. Heute teile ich ein paar Sightseeing- und Shoppingtipps mit euch. Viel Spaß! How to get there? 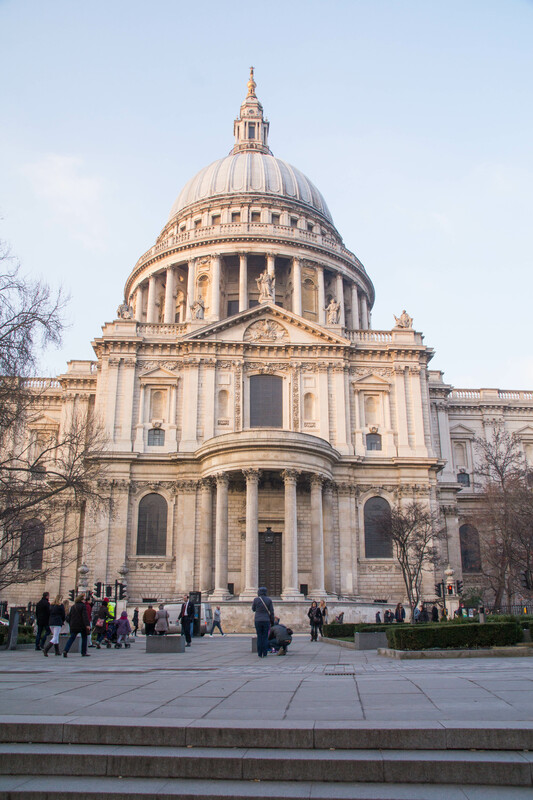 Take the Circle or District line to “Blackfriars” and head East to the Cathedral. From there it is only a short walk to the bridge and the museum. Wie komme ich dort hin? Mit der Circle oder District Line zu Station “Blackfriars” und anschließend gen Osten zur Kathedrale gehen. Von dort sind es nur mehr ein paar Schritte zur Brücke und zum Museum. 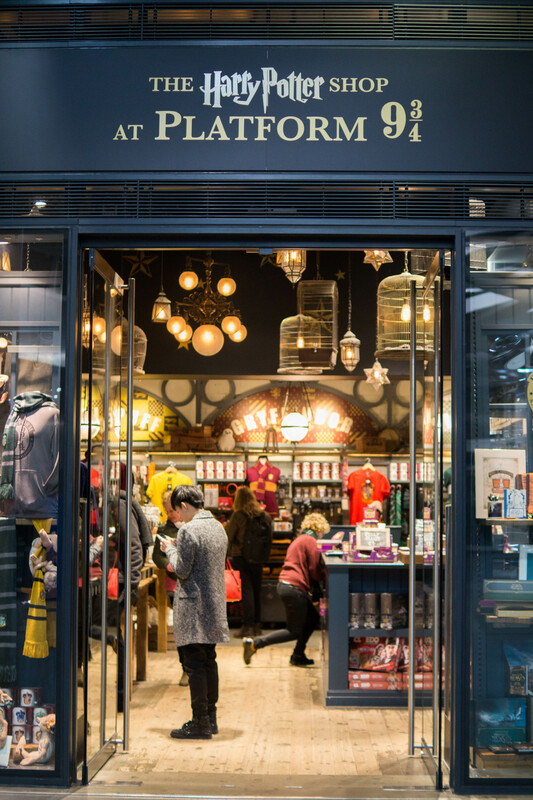 The second of my London travel tips is for all of you Harry Potter fans out there. If you love HP like me, this is a must! 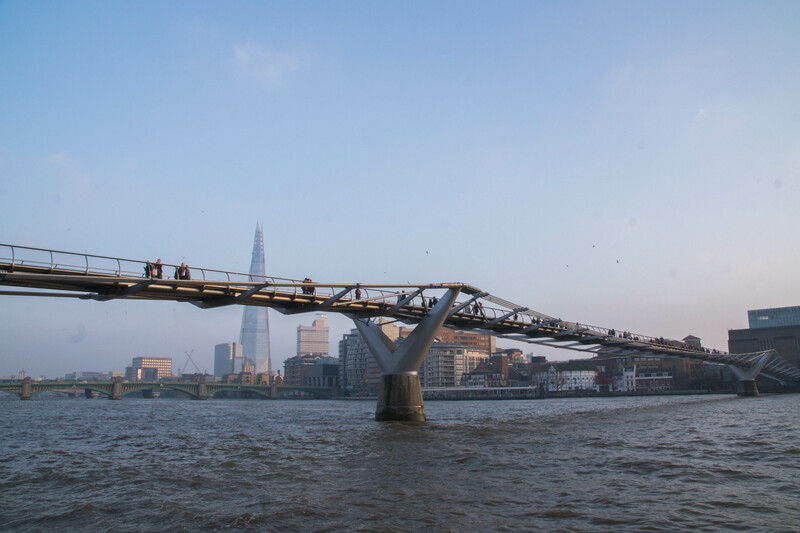 Unlike the Harry Potter studio tour, this attraction is in Central London and easy to reach. I suggest going there early in the morning or before it closes between 8-10pm. This way you can get your photo with the trolley taken quickly and have the chance to experience the shop without it being too crowded. Whenever I go there I get really excited and feel like a kid again! Everything is so magical! How to get there? Take the tube to “King’s Cross St. Pancras” with the Circle, Metropolitan, Piccadilly, Hammersmith&City, Victoria or Northern Line. Walk into the main building of the train station and you will see shop on the righthand side. Der zweite meiner London Travel Tips ist für euch Harry Potter Fans da draußen. Wenn ihr wie ich ein großer Fan von HP seid, ist diese Attraktion ein Muss! 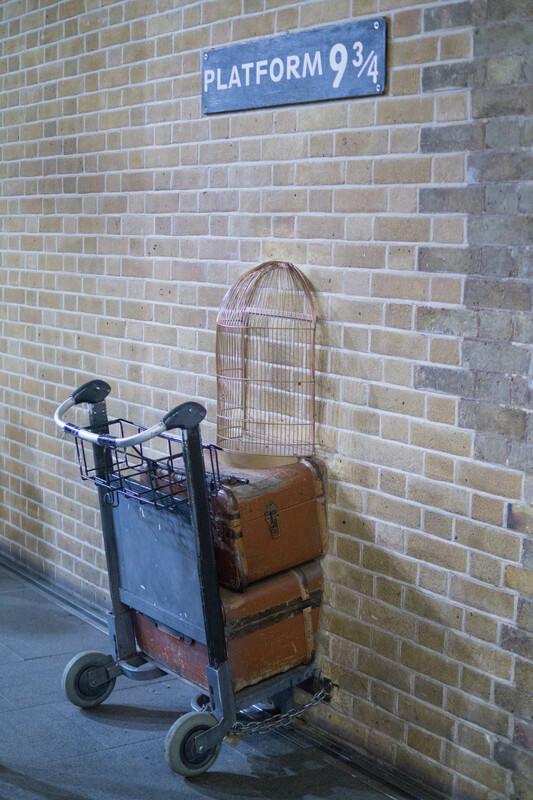 Anders als die Harry Potter Studio Tour, ist dieser Ort in der Mitte Londons und leicht zu erreichen. Am wenigsten los ist in der Früh und Abends zwischen 20 und 22 Uhr. Zu diesen Zeitpunkten könnt ihr meistens ohne langes Anstehen ein Foto mit dem Trolley machen und den Shop genießen, der sonst immer recht überfüllt ist. Die Plattform 9 3/4 ist eine meiner liebsten Plätze in London und ich bin jedes mal wieder aufgeregt und fühle mich wie ein Kind, wenn ich dort bin. Wirklich magisch! Wie komme ich dort hin? Nehmt die Ubahn zur Station “King’s Cross St. Pancras” mit der Circle, Metropolitan, Piccadilly, Hammersmith&City, Victoria oder Northern Line. Der Shop liegt im Hauptgebäude des Bahnhofs auf der rechten Seite. 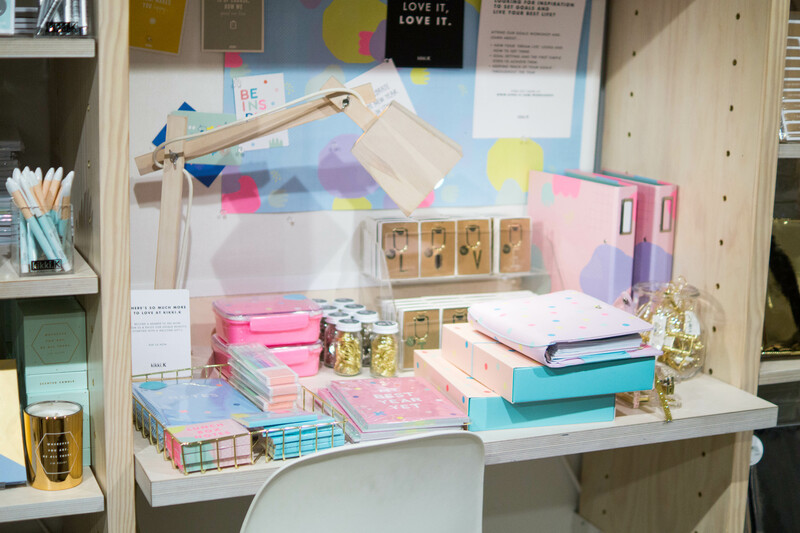 Pretty notebooks, cute cards and adorable homeware? Yes please! If you are in London, chances are you are passing by Covent Garden. The area is known for its shopping, dining and theatre experiences. 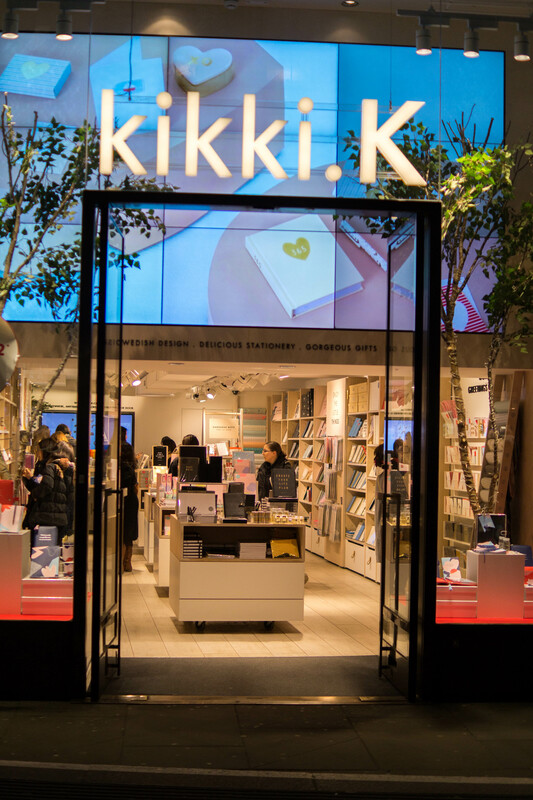 One store you shouldn’t miss is kikki.K – a Swedish design store which sells everything a stationery addict could wish for. Their range changes quite frequently, that’s why I always stop there when I have the chance. How to get there? Take the Piccadilly line to “Covent Garden”. The store is located across the street from the tube exit. Hübsche Notizbücher, bezaubernde Karten und süße Home-Accessoires? Ja bitte! Bei einem London Besuch sind die Chancen große, dass ihr auch in Covent Garden vorbeikommt. Diese Gegend ist bekannt für ihr großes Shopping-, Restaurant- und Theaterangebot. 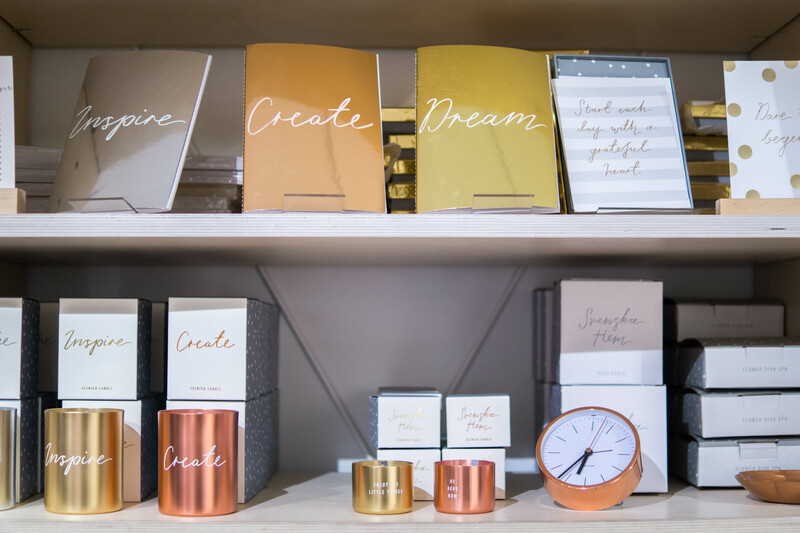 Einen Shop, den ihr auch keinen Fall verpassen solltet ist kikki.K – ein schwedischer Designladen, der alle Träume von Schreibwaren erfüllt. Das Sortiment ändert sich ziemlich oft, weswegen ich gerne öfter hinschaue. Wie komme ich dort hin? Nehmt die Piccadilly Line bis zu “Covent Garden”. Der Shop liegt gleich gegenüber dem Ubahn-Ausgang. 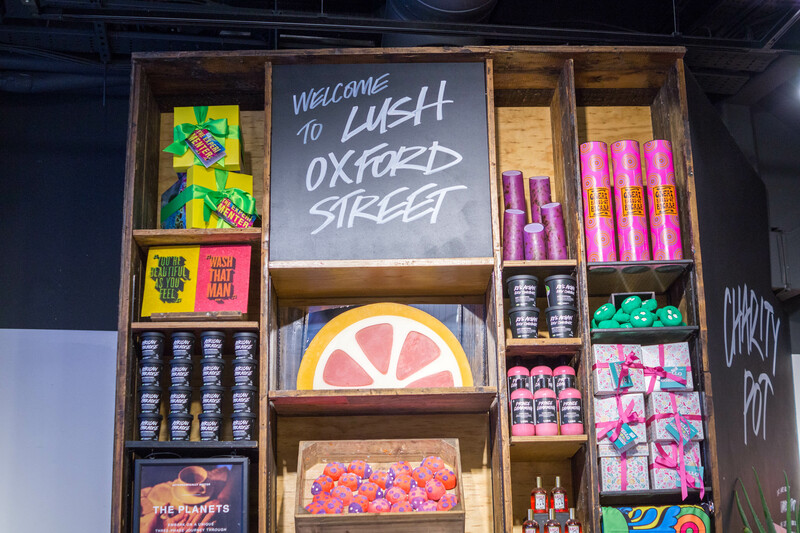 Ah Lush – the mothership of bath bombs, shower gels, soaps and everything spa related. If there is any store you have to see in London it is this one. I think this must be the biggest beauty store in the world. 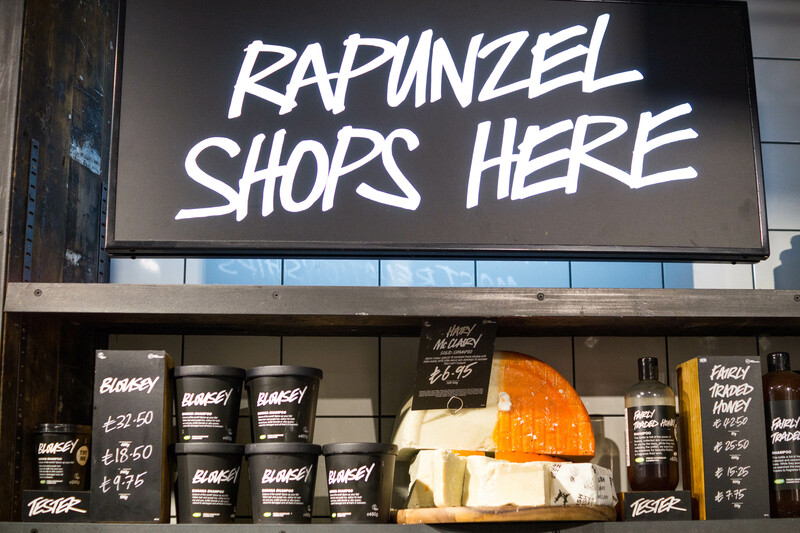 Here you will find every Lush product there is and more – they even have special items, they only sell there and nowhere else. If you really want to indulge, I suggest you book yourself a spa treatment which puts you right into relaxation heaven. Ah Lush – das Mutterschiff der Badebomben, Duschgels, Seifen und anderen Spa-Produkten. Wenn ich euch einen Shop in London empfehlen kann, ist es dieser hier. Es muss wohl der größte Beauty Laden der Welt sein. 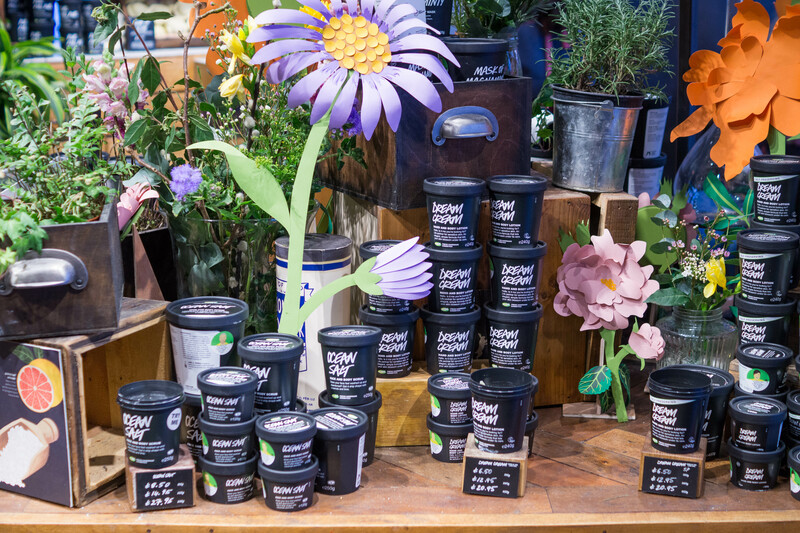 Hier findet ihr jedes existierende Lush Produkte und mehr – es gibt sogar spezielle Dinge, die nur dort und nirgendwo anders verkauft werden. Wenn ihr euch wirklich verwöhnen lassen wollt, bucht eine der vielen Spa-Behandlungen, die euch sofort in den schönsten Entspannungszustand versetzen. I can also recommend Liberty if you like department stores. It is incredibly beautiful! I loved visiting London a while back! I actually stopped at a few of these and it was a ton of fun! How nice! London is beautiful, right? Great overview and tips! I’m thinking of planning a trip to London with my mom, so I’m glad I saw this! Thanks! What fun tips! 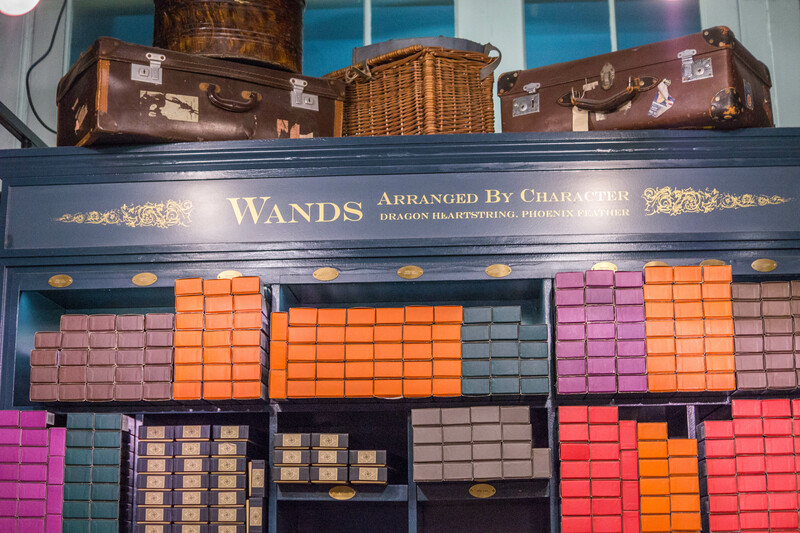 I have never been, but I would love to go to the Harry Potter store! Thanks for sharing your fun! Ich liebe London und deine Fotos machen Lust sofort wieder hinzufliegen! Danke für deinen schönen Post! Hi Verena, danke für deine lieben Worte! Das sind ja super schöne Eindrücke,besonders die von Harry Potter. Den Film und die Bücher habe habe ich geliebt. Danke für deine Tipps. Happy birthday! What a perfect place to spend it! I have never been to London, although it is very hight on my list. I am saving this post for when I finally make it there. We are headed over in a couple of weeks so this was great to read. Das sind ja super London-Tipps, gerade die Harry Potter-Station würde ich mir gerne anschauen, die Bücherreihe hab ich ja so geliebt. Ja ich bin ganz verliebt in die Stadt und war schon so oft dort 🙂 Der Lush Shop ist wirklich der Knaller! Oh wie schön, wohin geht’s denn? Ich wünsch dir ganz viel Spaß! Wirklich eine coole Liste! Ich war schon so oft in London, finde aber immer wieder etwas neues. Das ist eben das coole an einer so grossen Stadt! I’ve been to London and love the city, but I have still not visited the Tate Modern or the Harry Potter store. I think my travel plans take me through London in September, so I will add these to my “must see” list. Thanks! I agree that planning is so important. I thought I had my week visit to London planned very well, but at the end of my trip there was still so much to do. I guess I have an excuse to go back again someday. Same here, and I have been to London at least seven times now! It is just such a big city and there will always be more to see! I love London so much! I hope you had so much fun! Me too! Yes, it was beautiful as always! Thanks Neelofar! HAPPY BIRTHDAY! Going to London later this year and love all the tips! Esp the Harry Potter and the stationary store. Will only be there for a day so going to try to see the best of everything. Thanks Daisy!! How exciting, have fun! If you need any more tips, let me know!